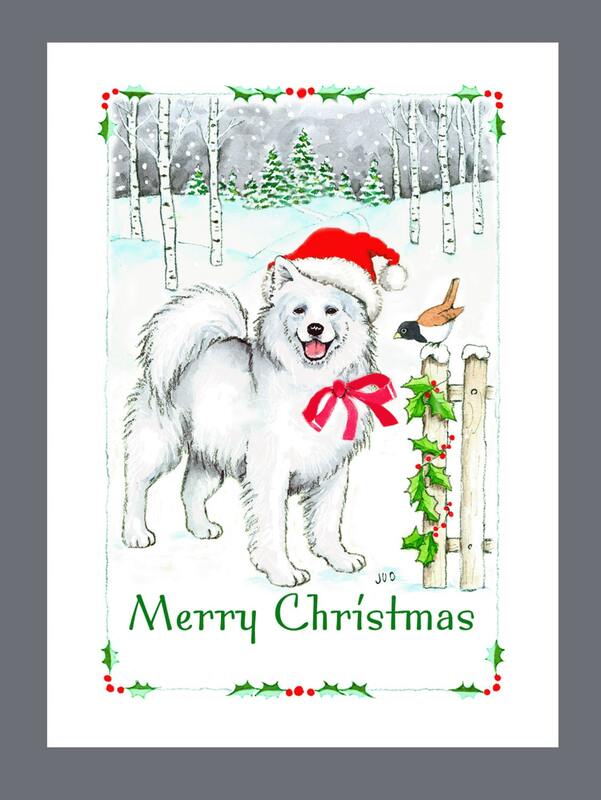 Samoyed Dog Enjoying Christmas with a Friend. Share your Holiday Greetings to family & friends with your favorite canine companion! Awesome cards! Love the quality of the paper and the envelopes. They're so soft and smooth and easy to write on.